Donna has just gotten over her breakup. She goes to a party to relax, enjoy herself. It's a night just like any other. And thus her complicated relationship with alcohol begins. 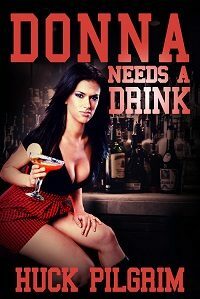 Donna isn't an immoral girl, but sometimes when she drinks things get a little out of hand. She doesn't always remember everything that happens to her after the third or fourth drink. At least, that's what happens on this night, the night in question. She meets a guy, a guy who becomes her hero. She just wants what all of us want — care, comfort, acceptance, a reprieve from heartbreak.